About six months ago, I was visiting my family in Charlotte, NC and happened to stop into the Earth Fare at South Park to pick up some food and drinks for a party. I was very surprised to see what I did in the beer aisle. The beer that caught my eye was Second Wind Pale Ale from Mother Earth Brewing. Of course, as a runner and beer enthusiast, I had to check it out. Luckily, the beer was excellent and I started picking it up around Raleigh and Winston-Salem. I started introducing fellow runners to this great can of "runner beer" and wanted to know a little bit more about the brewery. 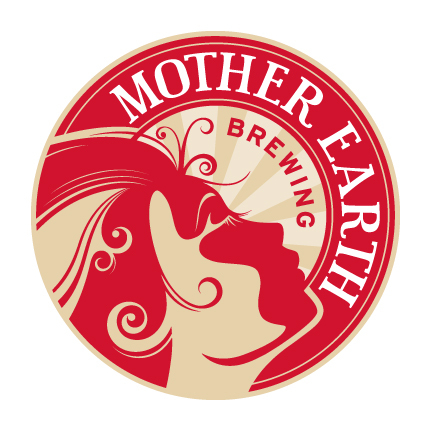 Turns out Mother Earth was founded in 2008 and resides about 30 miles from where I attended grad school, in the eastern North Carolina town of Kinston. I was lucky enough to catch up with co-founder, Trent Mooring, and get some information about the inspiration for the cool can in the craft beer section and about his life, living about everyone's dream job! 1. Writing About Running: Can you give us a little background about Mother Earth? Trent Mooring: All Mother Earth names and labels come from the minds of my father in law, Stephen Hill, and myself. We both founded the brewery together and we have created the brand around our lifestyle and things that are important to us. All our art is done by a local artist named Dinah Sylivant from Snow Hill, NC. Usually we decide on a beer style we like and want to release, then we come up with the name, and then we meet with Dinah and she pulls painting from the head of Stephen and I. She is really good at capturing what is in our head! 2. 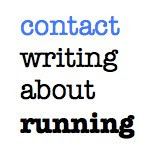 Writing About Running: What led to putting the runner on the can? Trent Mooring: For Second Wind, Stephen and I are both avid runners. We normally run every day at lunch to give us a break from the brewery and to keep our endorphins going. So, we actually came up with this name one day when we were running. Actually, I am getting ready to run as soon as I finish this! 3. 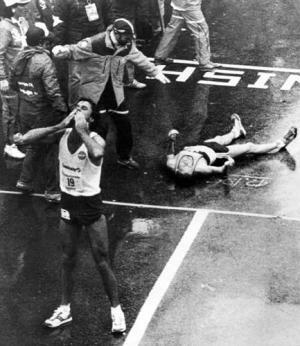 Writing About Running: What effect has running had on your life? Trent Mooring: Running has had a huge effect on my life because it is the time when I really get some peace and quiet and can really think and drift off. Like I said, a lot of the beer names have come to us from running. We call it our therapy! 4. Writing About Running: Why is it that most runners love beer? Trent Mooring: I am really not sure why runners like beer! I guess beer gives you a sense of relaxation as running does? I don’t really know the answer to that. Hopefully, everyone loves beer! 5. 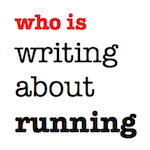 Writing About Running: Where are your favorite places to run? 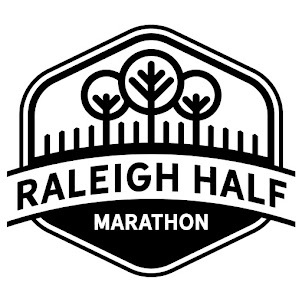 Trent Mooring: One of my favorite places to run are the trails beside the brewery along the Neuse River. 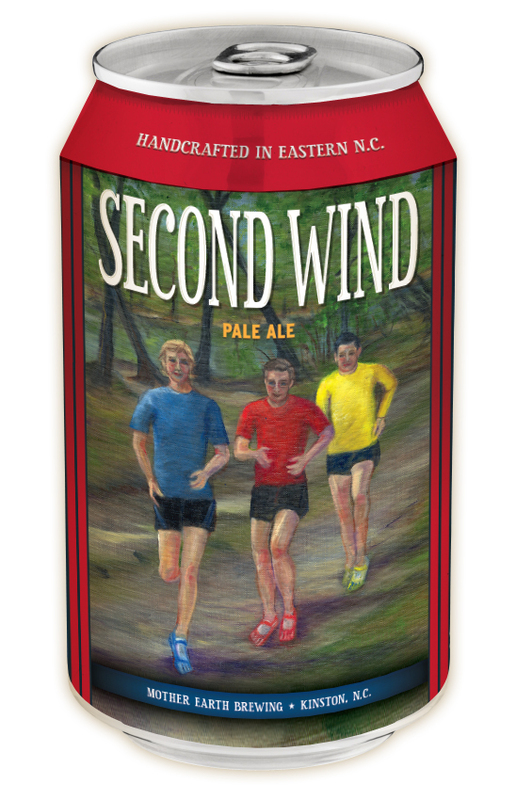 The Second Wind painting was painted of Stephen, I, and one of my best friends running on the trails beside the brewery. One of my best childhood friends comes and runs with us at lunch as well and the painting is an image of the three of us running. My friend actually owns the local Piggly Wiggly in Kinston, which just so happens to be one of the first Mother Earth accounts. That is usually where we run 80% of the time. Another favorite place was, about 4 years ago, we took a family trip through the country side of England and Stephen and I spent a great amount of time running trails in different small towns through Europe! Now, that was awesome! 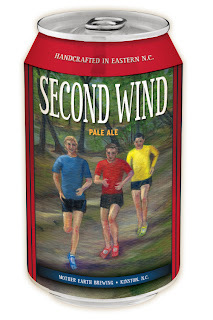 You can find Second Wind Pale Ale and many other Mother Earth beers throughout grocery stores, restaurants and bars, all over North Carolina. Check out their website here: http://MotherEarthBrewing.com If you're lucky, you may get your hands on their very popular winter seasonal, Silent Night Imperial Stout, which is as good as they come!